Here is PART TWO of my R+Co product review! Whenever I blow-dry my hair (not very often, TBH) it ends up looking frizzy. Nice, but amateur. I was hoping R+Co’s Park Ave Blow Out Balm would solve my problems. And guess what? It actually did. A dollop of it goes a long way in preventing those ugly flyaways and frizz. Hellooo, smooth locks. 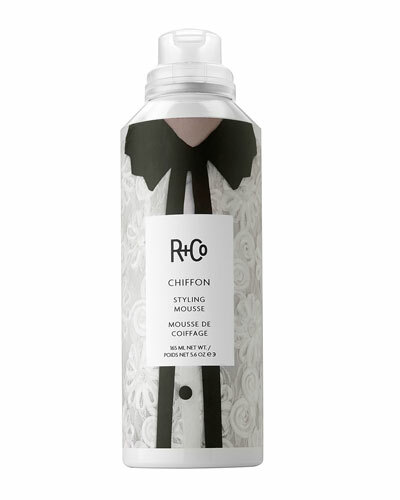 In Part One of my R+Co review, I admitted that I was underwhelmed with the effects of the Chiffon Stlying Mousse. I gave it another chance and followed the directions properly, and it definitely worked a lot better in giving my hair body. It still didn’t give me the “soft, girly curls” that it promises, but I’ll keep it around for the volume it provided. That, and the cutest packaging ever. I don’t use hairspray very often, which is largely due to the fact that it makes me think of that tacky, hard, crunchy look that we’ve all had at some point in our lives when we went a little wild with the aerosol can. I used the Vicious Strong Hold Flexible Hairspray on my last few top-knots, and it has restored my faith in hairspray. Oh, you mean your perfectly coifed bun doesn’t have to turn into JLo’s mane circa the ‘Jenny from the Block’ days? Phew. The spray held my bun in place with no flyaways for hours at a time without ever feeling stiff and sticky. So there you have it. I hope this helps lock in your best hair ever. See what I did there?